She should lose her job and be disbarred. Charge State Chief Justice Tani Cantil-Sakauye under Rico or the national security act, she has no right to ignore the laws of the land. ICE is just trying to do their job and enforce the current laws. Illegal aliens are here illegally. Thanks to Trump and Session illegal entry is down about 70% just by enforcing our present laws on the books. WZ: Rule of law? What’s that? Liberals keep going over the slide to anarchism. 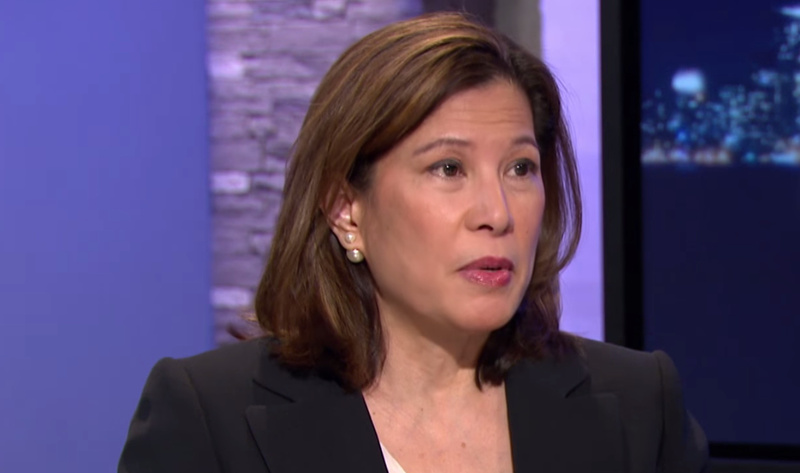 Daily Caller: California’s highest ranking judicial officer has waded once again into the politically fraught debate over the Trump administration’s immigration enforcement policy.